The dictionary defines safety as “the condition of being safe from undergoing or causing hurt, injury, or loss”. 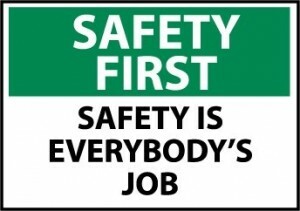 According to OSHA approximately 12 workers are killed on the job every day in the US and they are all preventable. Nobody goes to work with the intent to get injured and certainly not die but in the rush “to get the job done” a procedure is skipped, we decide not to lock out, put the harness on, do the inspection, because we need to “save time and get it done”. The only real way to save time and really get the job done is to do it right the first time and that starts with doing it safely. Each one of the companies at CP Global is unique in what we do but what we do share is the fact that we are heavy industry and share many of the same safety risks and concerns. Each operation is very fast moving and it only takes a second of distraction for a serious incident to take place. Personally my number one goal each and every day has been to ensure that we provide a safe work environment and that every single person goes home safely to their families each night. Why is safety so important to us at CP Global? Because you are important to us. So as we go about our day to day business remember the 10 commandments of safety and remember that safety is everybody’s responsibility. 1. Always be responsible for the safety of yourself and others. 2. Always remember all accidents are preventable. 3. Always follow company rules, regulations and procedures. 4. Always assess the risks, Stop and think. 5. Always be proactive about safety. 6. Always deter from situations you’re not trained to handle. 7. Always manage the lift. 9. Always practice good housekeeping. 10. Always take the safest path, never take shortcuts. 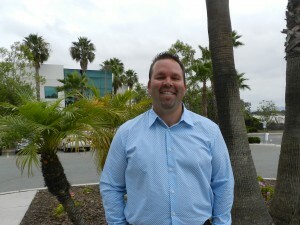 Throughout his career in operations management, including logistics, transportation, and supply chain leadership, Matt has had the opportunity to provide solid guidance and value for multiple objectives. His background includes multi-site management, leadership of cross-functional teams, and a forward-thinking approach to operations growth and change that focuses on new technology implementation, Lean principles, and quality methodologies. Safety has always been a core function of every job Matt has held for the last 20 years across various industries and from the time he served in the U.S. Navy.